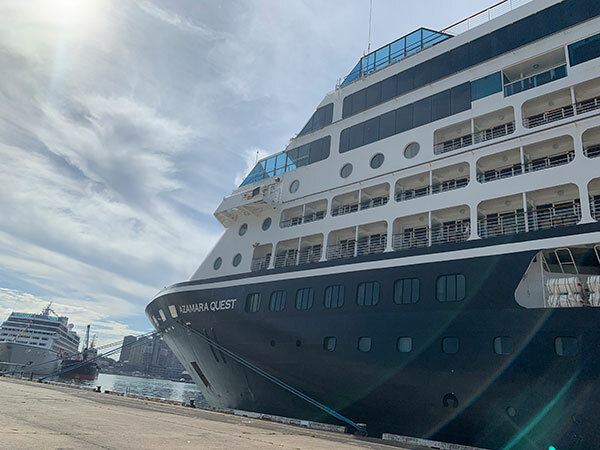 In March 2019, Jamie, Scott and I had the opportunity to inspect the beautiful Azamara Quest in White Bay Cruise Terminal, Sydney. 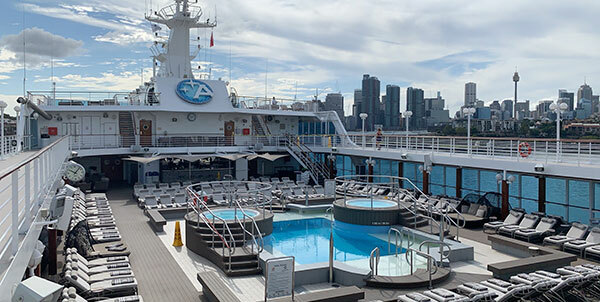 Immediately, as we stepped onboard we were greeted by welcoming faces and modern design. 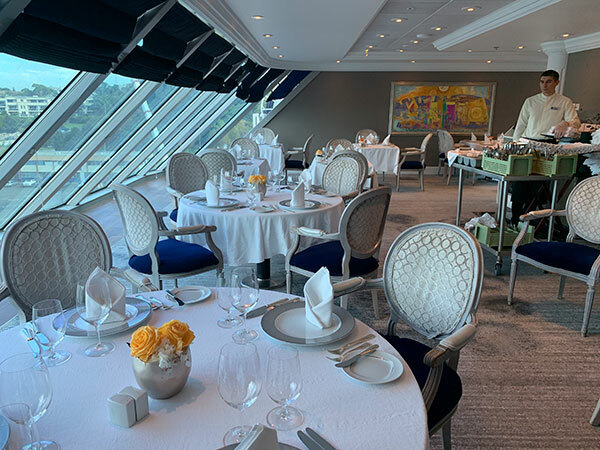 Since its last drydock in 2016, Azamara Quest has been completely refitted with a stunning sit-down al fresco dining venue. 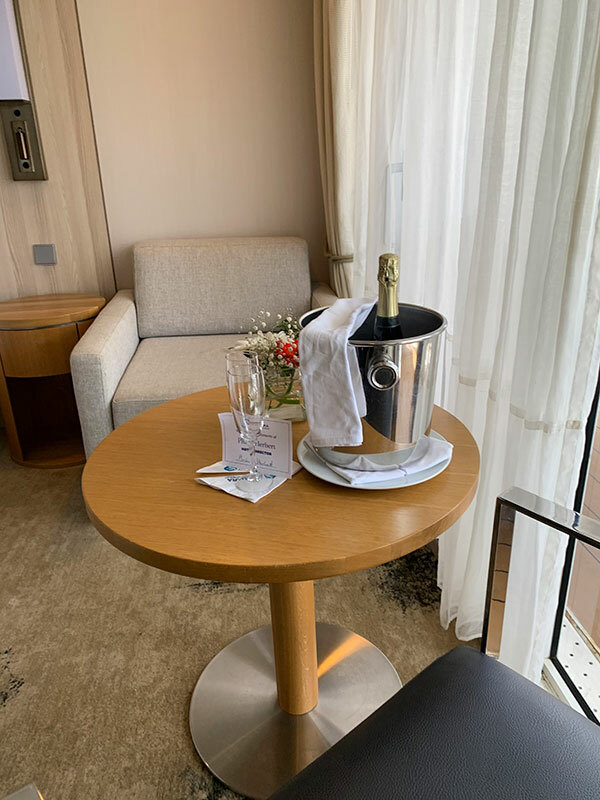 At the beginning of our tour, we were taken to see Azamara’s luxurious Club Oceanview Stateroom and Club Veranda Stateroom completely refurbished with fresh contemporary décor. 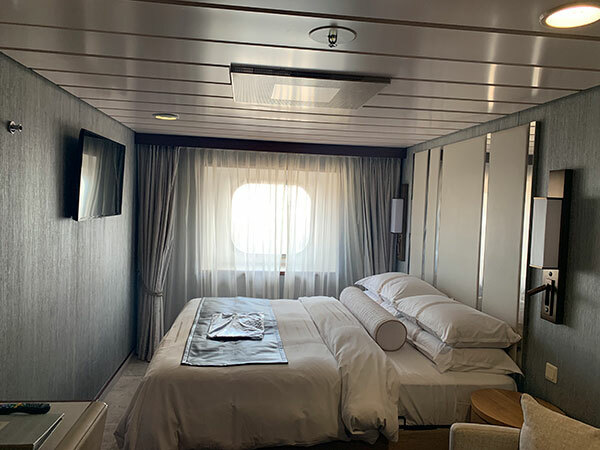 The Club Oceanview Stateroom features a porthole window, two lower beds converted to one Queen Size bed, sitting area with flat-screen television, refrigerator with mini-bar, and writing desk. The Club Veranda Stateroom had the same features except it also has a step out veranda with a table and chairs. Azamara Quest is 1 of 3 midsized ships with a guest capacity of 690 and 408 international crew members. An advantage of sailing with Azamara is being able to sail to places larger cruise lines cannot. Allowing guests to connect with a deeper world with more time in port and overnight stays. Statistics show 66% of 2019 port calls made by Azamara were not visited by larger ships. A highlight onboard is the not to be missed White Night deck party where everyone gets involved by dressing up in all white. The party is held on the top pool deck and involves lots of dancing and interactions with the cruise director onboard. 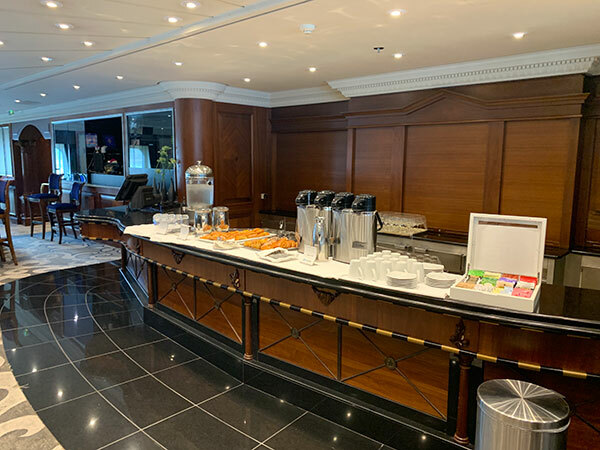 Next, we were shown the Specialty Restaurants onboard called “Aqualina” for those who love Italian food and “Prime C” for those who love steaks cooked to perfection. Onboard we had the opportunity to explore the Sanctum Spa. In here you will find a Sanctum Terrace with Thalassotherapy pool, salon, acupuncture, fitness centre, mini pool with Jacuzzi and jogging track. Treatments include Elemis advanced anti-ageing facials and body treatments, medispa, acupuncture and fitness classes. Azamazing Evenings is an exclusive event for Azamara guests only. The evening delivers an in-depth travel experience that connects you to the heart of local culture. Anyone who is not booked on this cruise will not be able to attend this evening. Experience the opulence of a night out at the St. Petersburg Symphony Orchestra, watch Maori culture come alive with a performance at the Te Papa Museum, or see acrobats soar in Monaco. No matter the voyage, these one-of-a-kind experiences will create a night to remember. 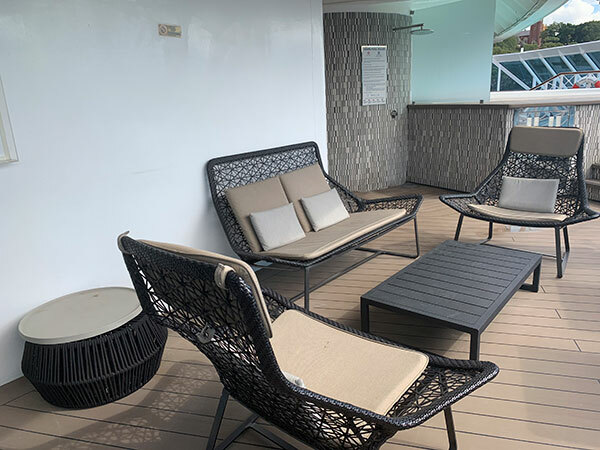 In March 2019, Jamie, Scott and I had the opportunity to inspect the beautiful Azamara Quest!